I take a balanced approach to graphic design. The "pleasing-to-the-eye" rubric is too vague to provide practical guidance for designing or laying out a piece, technical or otherwise. Even if it were not, visual pleasure does not automatically equate to communicative effectiveness, and it doesn't take production constraints into consideration. When designing a piece, I strike a balance among three fundamental considerations: communicative effectiveness, aesthetics, and production. The dynamics of technical communication are fundamentally different from those of other forms of communication. In an advertising context, for example, a message must compete against other messages for the audience's attention. Both the setting and the audience's state of mind are in a relatively mercurial state. In a technical-communication context, the end user's attention is typically focused stably on the message but needs to be guided to the appropriate details. The methods and techniques for directing attention that is already more-or-less "captive" are different from those needed to capture attention in the first place. This difference has implications for design. Design for effective communication of technical information takes into consideration the predilections of the eye, brain, and mind in processing visual data. The mind looks for order in information that it is attempting to assimilate. Raw visual data are processed first by ganglion cells in the retina and subsequently by neurons in the visual areas of the neocortex. Though neuronal connections in the neocortex are highly plastic and may therefore adapt readily to diverse visual stimuli, allowing latitude for personal preferences, the ganglion cells in the retina, which receive visual data initially, are not. In general, designing information in a manner conducive to effective communication tends to produce results that are also coincidentally "pleasing to the eye." 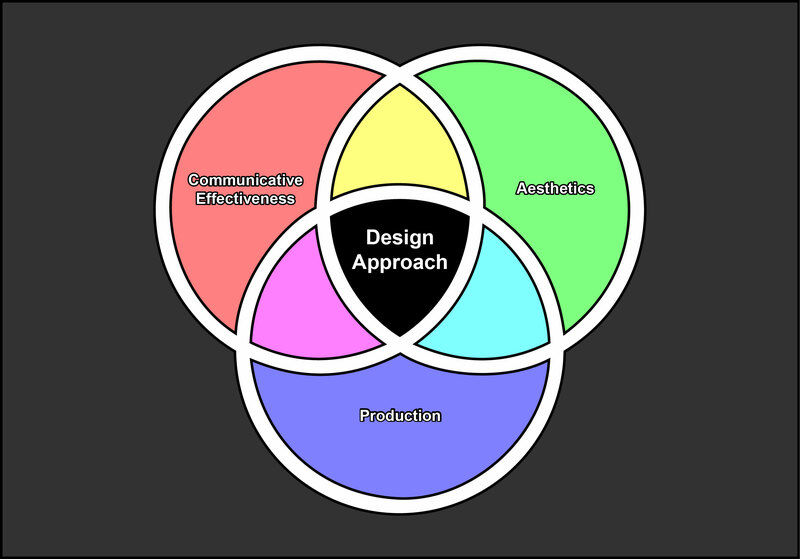 Design for effective communication of technical information utilizes the arrangement of graphic objects, visual complexity, typography, alignment, spacing, emphasis, and other graphic attributes accordingly. For example, a table of data should be organized from the standpoint of the end user, with row headings that reflect categories known to the end user and cells in the body of the table containing data unknown to the end user. Operating within the constraints dictated by considerations for effective communication, my approach is to balance aesthetics against production considerations. Production considerations include technologies available for delivery, budget, and time available for producing the documentation. For example, if production constraints dictate that delivery in one color (i. e., black and white) be an option, then the colors chosen for the piece must also be rendered effectively in one color.